Well, it is cold here in Iowa. Surprisingly enough we do not have snow here yet. That is kind of a scary thought cause that means that we are gonna get hit hard in January or February!!!! I sure hope I am wrong cause I could go all winter without snow!! Ok, just a little maybe like lightly falling on Christmas Eve or something but then I am ready for Spring by January. Is it warm or cold on Christmas where you are at? 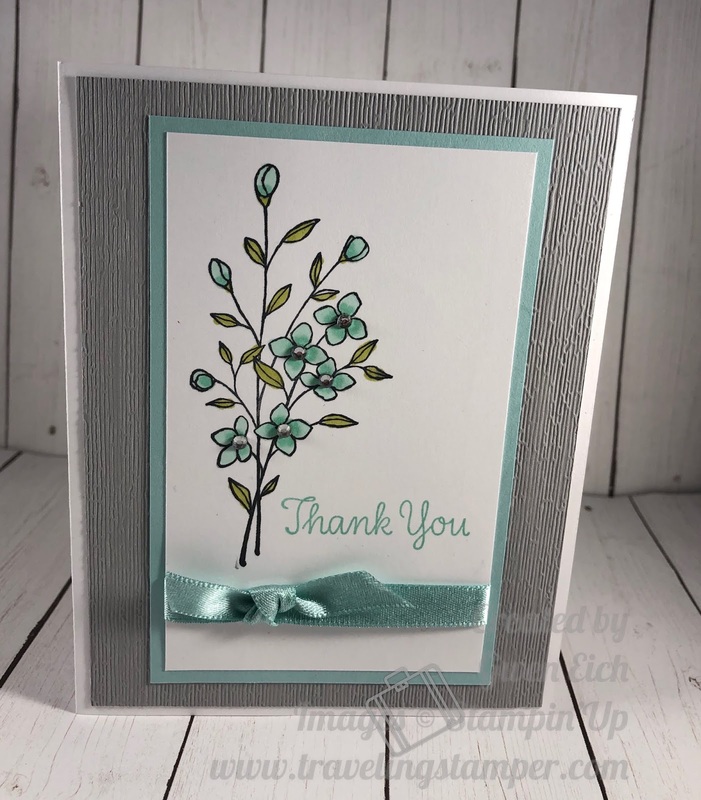 I decided on this thank you card cause I am hoping for Spring. I don't want to wish my life away but I am wishing Winter away. I love the subtle background folder. It just gives us that little something-something.